Northern Ireland planning guide says “no to fracking” – DRILL OR DROP? Northern Ireland’s environment minister officially said no to fracking today but he did not impose a moratorium or permanent ban. 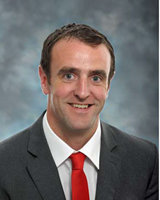 Mark H Durkan included a presumption against unconventional hydrocarbon extraction in the Strategic Planning Policy Statement, a new guide for the planning system. The SSPS consolidates more than 800 pages of existing policy into a single document. Unlike the statement, the SSPS uses the word “until”, rather than “unless”, possibly leaving the way open for planning permissions for fracking in Northern Ireland. The document also said minerals development would not normally be granted permission if it “prejudiced the essential character” of an area protected for its landscape, or scientific or natural heritage. Planning authorities would be allowed to consider exceptions to the presumption against minerals extraction in areas protected from minerals development. But these exceptions would not apply to applications for fracking. Planning permission would also not be granted if traffic from a minerals proposal prejudiced the safety and convenience of road users, unless the road network could be improved. Delighted but feel caution is advisable. Lots of wriggle room within the wording. However, at the end of the day the people will be the ones to decide. Thanks for your comment. I think you’re right about the wriggle room. Ruth, you are amazing. Thank you so much for all your hard work. Thanks for your kind words. Please keep in tocuh.